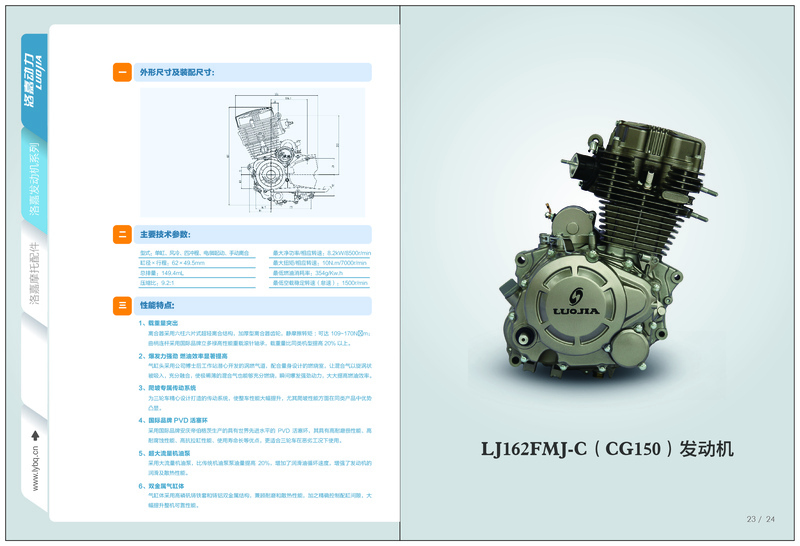 The new designed 150cc CG motorcycle engine with air-cooled engine, lubrication system and transmission system are improved,three wheel motorcycle engine reliability and durability are increased significantly. The crankshaft needle is large FRB needle,tricycle engine to improve the bearing capability of crankshaft and prolong the service lift.Tricycle engine,high gear can ensure requirement of vehicles running speed while low gear and large torque can make vehicle powerful, more traction and climbing ability. A complete new design of air port is adopted to improve fuel-air mixing condition. This results in more completely combustion, improves fuel consumption and realizes dynamic behavior of low speed and high torque.